Pressure : screw road or Hydraulic foam forming Standard: vertical, Horizontal We Professional supply these kind of EPS foam forming machine, mold for lost foam casting. we are keep improving, Always hope to provide more better machine and service to you. 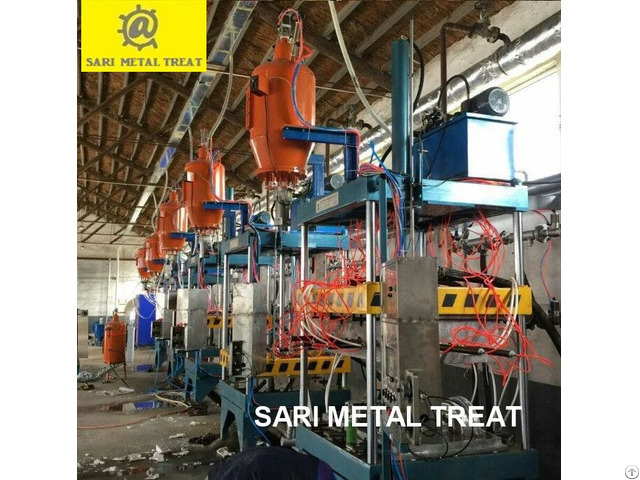 Business Description: SARI METAL TREAT (SMT) Professional on supply products die casting,lost foam casting, casting so on. We provide Chemistry products for die casting, casting, forging etc. With the good quality products and expertise in industry, now our exporting business have already extended to many countries that separately located in Europe, South America, East Asia & Southeast Asia, Middle –East ,Africa etc. Welcome contact with us, best price and service , We Will reply to you soon. Hope to be your best partner!